The Worcestershire Elizabethans were formed in June 2014. 2017 is the team’s first season playing in the Blind Cricket (BCEW)North West Division. The team welcomes blind and visually impaired people with an interest in keeping active and having fun. 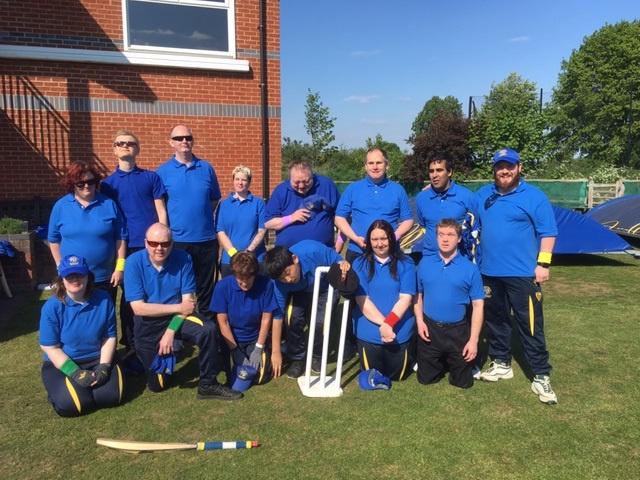 The group aim to give visually impaired people in and around the county the opportunity to take part in sport and create an environment where they can socialise with people who truly understand the daily impact of having a visual impairment. The VI section now has a squad of 17 members, ages ranging from 15 to mid 70’s of which many had never played cricket before. Training takes place at the Memorial Ground, Perdiswell Park, Worcester WR3 7SN every Wednesday evening during the summer from 18.30 to 20.00 and two 10 week blocks indoor during the winter. Please find attatched below a flyer for an event being ran on 5th May and the list of fixtures for the Visually Impaired cricket for the summer.